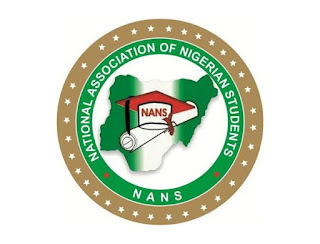 The National Association of Nigerian Students (NANS) has advised student Yabatech students not to pay their over hiked school fees and declaring another protest for Thursday, 8th June, starting from 7A.M as response to alleged negligence in agreement of June 1st Protest. According to NANS, Yabatech management have refused to keep to promise. They aim to go Nationwide​ with this one, collaborating with human right groups and incorruptible and unbribable media organizations. We salute the courage of dogged and rugged comrades who came out in mass for the June 1st protest. As a matter of urgency, the management has still not closed the portal as the executive Rector has not instructed. As we have waited for the management's call on the Congress committee for a meeting, the YABATECH management didn't call for a meeting with the 7-man committee, as the time stated had elapsed. Therefore, we should keep informing our students and colleagues NOT to make SCHOOL FEES PAYMENT as the portal is opened for both Full time and Part time Students. We cannot afford to jeopardize our right, so therefore, we shall always fight for our right. Let us follow the trend as they suspended the Students' Union, victimized Student leaders, increase school fees and now, hijacked the media. We have now seen that the management is adamant and have put a test towards our ability and strength, hence daring the Students' power. 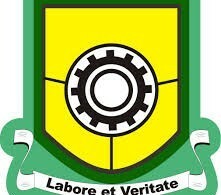 The National Association of Nigerian Students will therefore engage the YABATECH management based on their promises and words as the management have failed to fulfill their words which will now lead to another Mass action and this will not only be concentrated on occupying the institution but also affecting Nationwide​ activities. Equally, we would be collaborating with human right groups and inviting incorruptible and unbribable media organizations. We promise to always be there to provide good leadership no matter the challenge or circumstance. Hence, we hereby declare another protest for Thursday, 8th June by 7A.M for another mass action. An online/ Social media campaign have started and ongoing so as to sensitize Students and equally, keep the world informed. We encourage everyone to support this struggle as victory is certain. Nothing shall discourage us. United we stand, together we shall overcome. National Association of Nigerian Students.